In 1963 a record label began on the 12th floor of 156 Fifth Avenue in New York City by releasing its first LP. Bernard Stollman, a 34 year old jazz fan with a law background, had been working with some rhythm and blues and jazz musicians, helping them with copyright and contract issues. Bernard Stollman and one of his early ESP logos. Stollman had also learned the “International Auxiliary Language,” Esperanto and recorded an album of songs and poetry all spoken in Esperanto, which he had hoped would further promote the language. 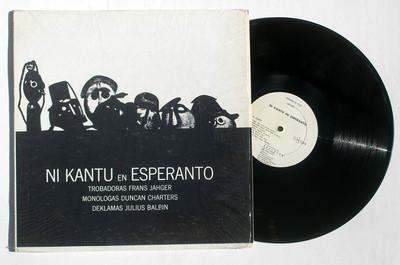 Titled, Ni Kantu en Esperanto, Stollman decided to self-release his album on a record label that was named after the language itself, ESP-DISK’. 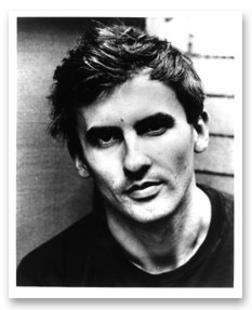 After the album was released, Stollman, with financial help from his parents, wanted to use ESP-DISK’ as a label that could release other forms of non-commercial music, and experimental, little heard music. 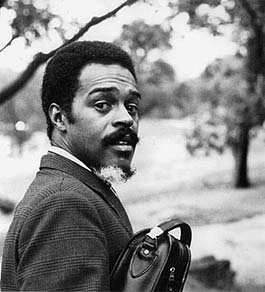 Later in the year he ventured to Harlem and approached Albert Ayler, one of the earliest, most aggressive and primal, free jazz saxophone players of the early 60’s about his wish to record him. 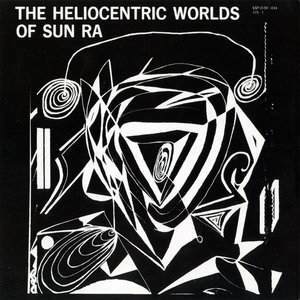 shown here in its original rare black artwork version. 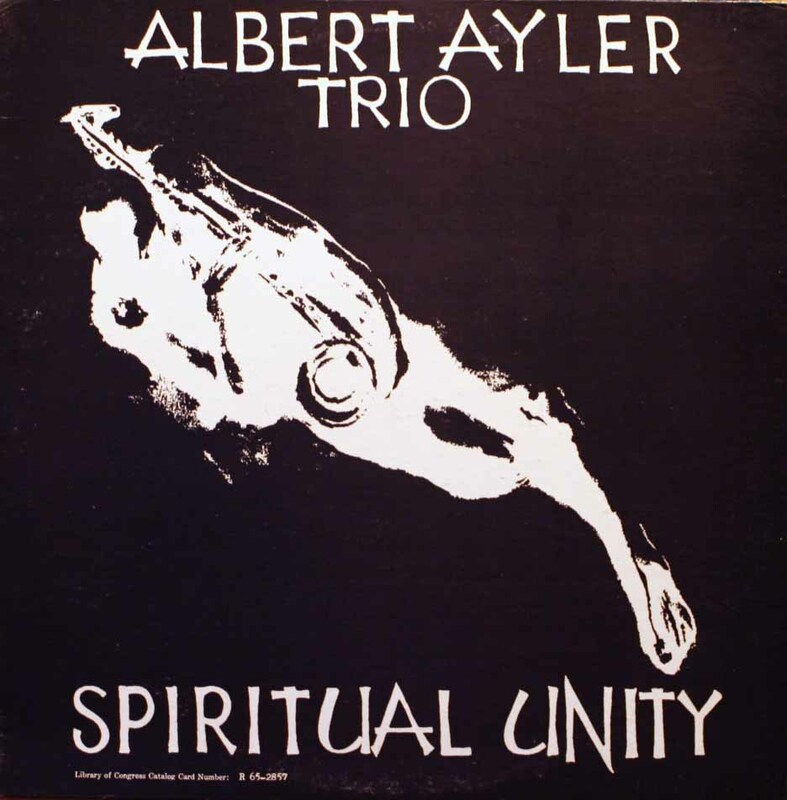 Albert Ayler’s LP Spiritual Unity, would become the 2nd release on ESP-DISK’ as well as one of Ayler’s most acclaimed albums. 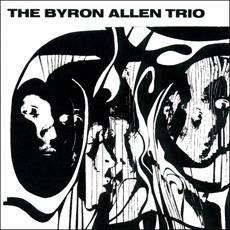 The record would garner attention around the improvisational free jazz world from the likes of Eric Dolphy and John Coltrane and give credibility to Stollman’s new record label. The flood gates would soon burst open as ESP-DISK’ would record and release an astonishing 45 (!!) albums over the next 18 months. 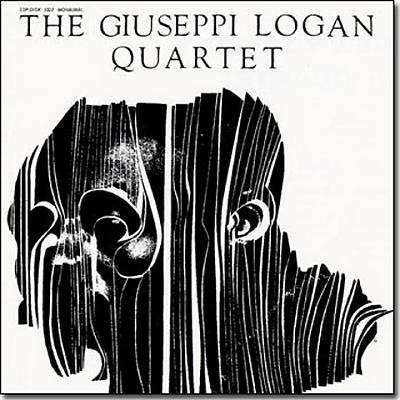 With this insanely prolific schedule of releases, Stollman was building and giving the music world an empire of free jazz improvisational artists that, with only a couple of exceptions (Paul Bley and Ornette Coleman, who had already gained notoriety in the worlds jazz circles), were heretofore unknown and so far underground it was almost as if they were blasting their saxophones at the Earth’s core. 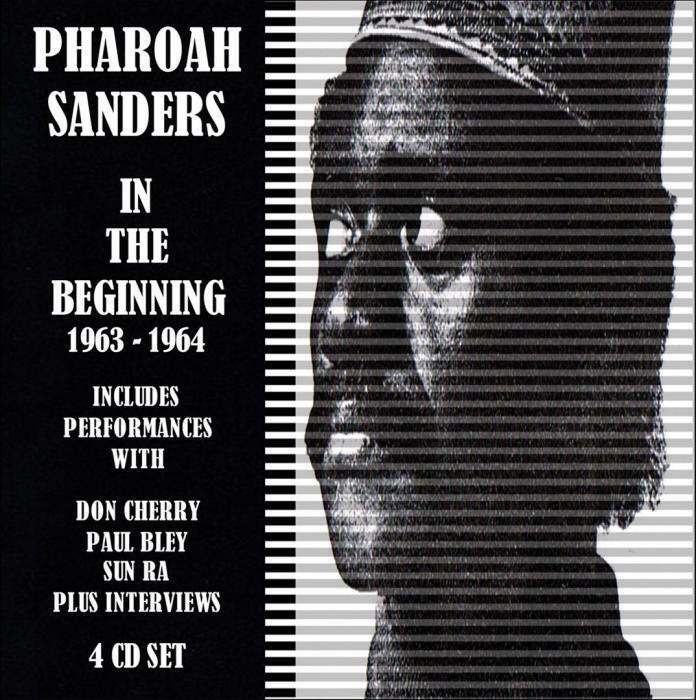 So many of these early ESP-Disk’ releases are now considered incredible classics that should be a part of every adventurous music fan’s collection. 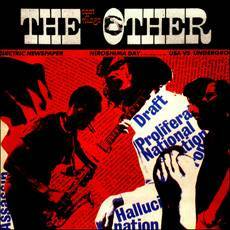 ESP-Disk’ would not only embrace their beloved improvisational free jazz, but also release records by a few highly original, underground, experimental rock groups. 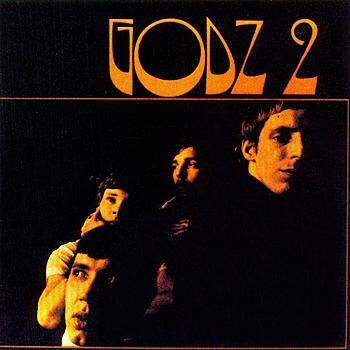 appearing on the label were The Fugs, Pearls Before Swine, the Holy Model Rounders and The Godz. 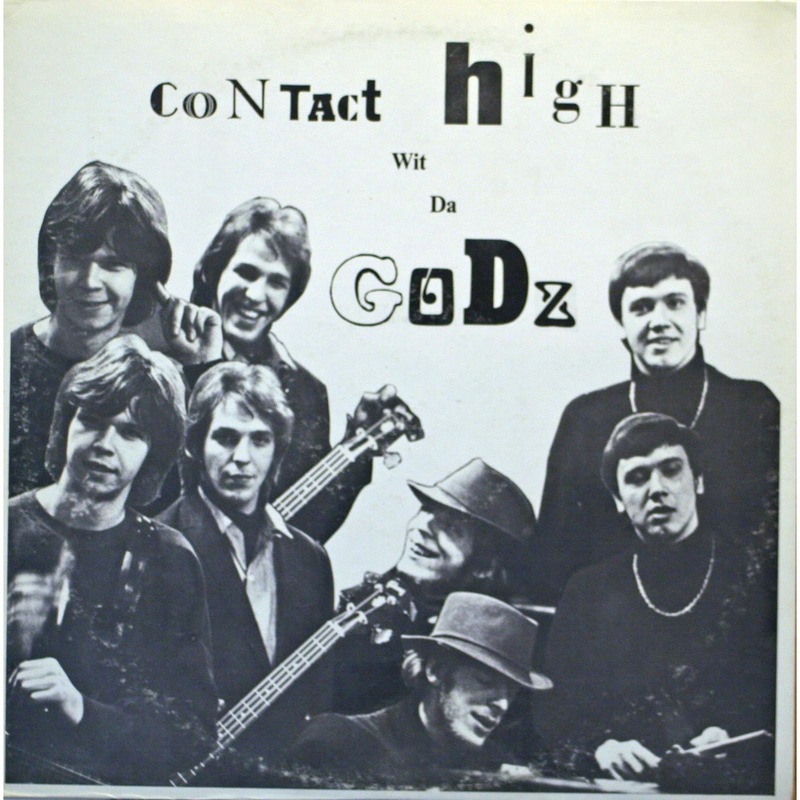 At a time when the Vietnam War was polarizing America, these groups were highly critical of U.S. policies (as well as other average American attitudes) and used their songs as lyrical platforms to get their messages to listeners’ ears. These bands quickly gained favor and notoriety throughout college campuses around the country due to this buzz, assuring that a few would even find their way to the top of the hit pop charts. 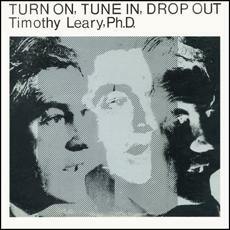 the potential was that their LPs could even began to sell well for the record label. During the mid-Sixties, New York City Pop artist Andy Warhol and his Factory studio denizens, especially as showcased by the now revered band Warhol touted, The Velvet Underground, would embrace and promote a polar opposite look, attitude and sound then what was quickly becoming the mainstream—that of the Flower Power hippy children. The Warhol/Velvets’ scene, which embraced black attire and shades, dark lyrical themes and more of a speed based drug culture rather than an LSD one, found with the ESP-Disk’ aesthetic, a kindred spirit. 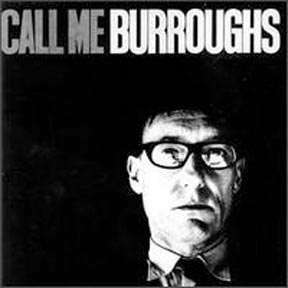 A collaboration between artists from the free jazz world, the Warhol crowd, and the earlier Beat scene (Allen Ginsberg) would record an album called The East Village Other, which was to benefit one of the lower East Side’s underground newspapers of the same name. 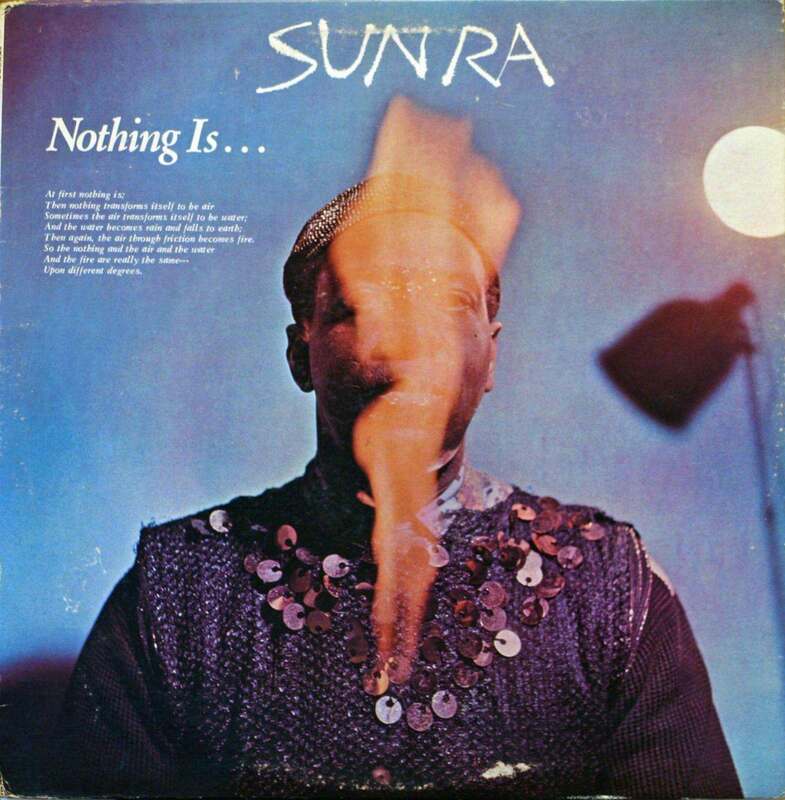 With their tag line “You never heard such sounds in your life.” and a motto that was printed on every LP sleeve, “The artists alone decide what you will hear on their ESP-Disk.”, here was a record label that not only released subversive, highly original experimental music, it was also a label that was using business practices that were very different from those of other labels. ESP-Disk’ did not sign long term contracts with their artists, realizing that should their artists sign major label contracts later, it would benefit the ESP-Disk’ back catalog. So at a rapid pace, ESP-Disk’ was looking like a record label that could become famous and successful. Little did I know as a young teenager how much ESP-Disk’ would impact my listening tastes later on. I first stumbled upon one of their LPs in a used record store. I know nothing of the label, or to be honest the majority of the artists on what was simply entitled ESP-Disk’ Sampler: Various Artists (Catalog # ESP 1051). The original rare black and white ESP Sampler. Catalog #1051. I never heard such sounds in my life! Taking home this oddly compelling, intriguing record—with its dark, quasi-psychedelic cover art—I listened to what was essentially 2 LPs worth of the vast ESP-Disk’ catalog, trimmed down to many shorter edits. Included as well was a catalog for the label. I was already a huge fan and child of the Lenny Kaye compiled original Nuggets LP, I was a huge fan of the multitude of psychedelic bands, and was well-versed in most of you great 60’s and 70’s rock bands. Here though, was something that went much deeper, wilder and was far more underground than what I had already heard before. Like experiencing some truer psychedelic inner sanctum. 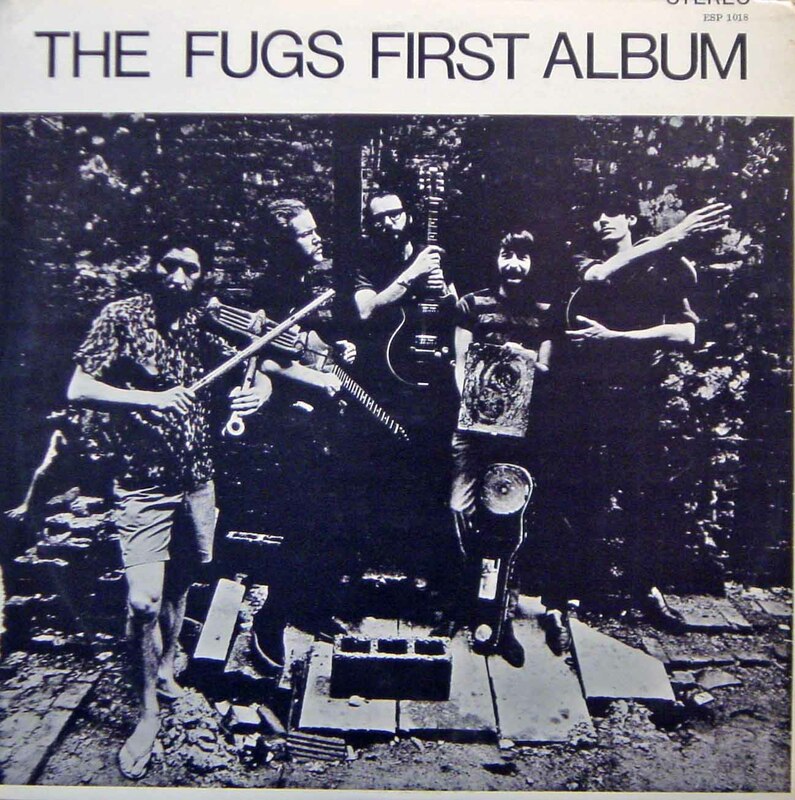 A few band names like The Fugs seemed familiar, doubtlessly due to my being a Frank Zappa fan who may have name dropped them once or twice, plus, there were also a couple of familiar author/poet types I had heard of such as William S. Burroughs and Allen Ginsberg lurking on the record. 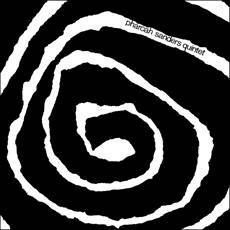 Yet, damn if the Marion Brown Quartet, Sun Ra, Gunter Hampel, The Pharaoh Sanders Quintet, Milford Graves, Pearls Before Swine and The Godz did not then and there blow my mind, expand my ears and kick my sensibilities into another dimension. I was also impacted by those wonderful ESP-Disk’ good vibes years later when I was slated to perform at a music festival in San Francisco, but found out my ’63 Fender Jazzmaster had a switch damaged on the flight over. 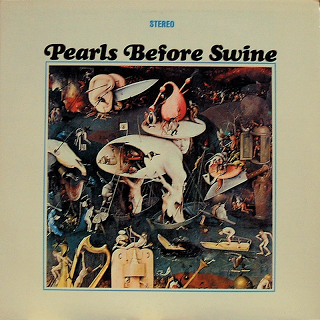 Thankfully I was able to borrow the guitar of none other than Tom Rapp, who had headed Pearls Before Swine on all of their incredible ESP-Disk’ LP’s. The wonderful Tom Rapp of Pearls Before Swine. Thanks to this remarkably talented gentleman who I had been in awe of previously, I was able to perform our band’s set. Thanks again Tom! Sadly, after ESP-Disk’ had such a promising start, by 1968 the label closed shop due to the rise of LP bootlegging of much of their catalog. Sales were impacted greatly, his distributors were purchasing bootlegs to sell, thereby cutting out the original label, and while Bernard Stollman would continue to soldier on by licensing his catalog to overseas record labels, where many of his artists had found larger fanbases, by 1975 things were over for ESP-Disk’. Cry not for The Godz however, as the ESP-Disk’ story has a happy continuation these days. Anti-bootlegging laws, stronger licensing and distribution deals and the resurgences of interest by younger music fans in both vinyl and the artists on the ESP-Disk’ catalog have given a new life to the label. Bernard Stollman continues to oversee the catalog, and there have been many releases of newer musical artists that work well within the ESP-Disk’ aesthetic. 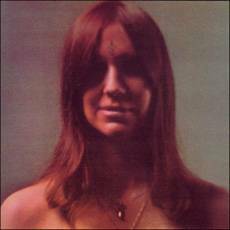 2013 marks an amazing 50th anniversary reissue campaign that will be ongoing and making available so many of their legendary, long out of print or never released on CD in the US, musical jewels. 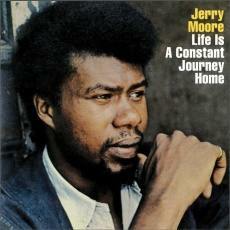 Jerry Moore’s Life Is A Constant Journey Home, The Byron Allen Trio, The Burton Greene Trio On Tour, Paul Bley’s Closer and Patty Waters College Tour are just several of the reissues that are essential listening. The now huge ESP-Disk’ catalog, including their original releases (known as the 1000 Series) as well as the subsequent 2000, 3000 and 4000 Series releases, are now available either via there cd reissues or in a downloadable format at the official site http://espdisk.com/ or through the many fine online purveyors of great music. 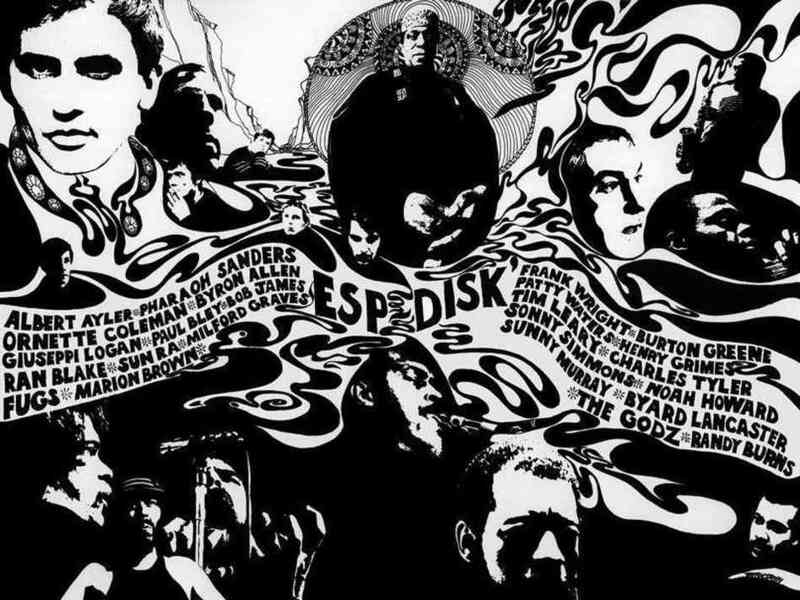 The ESP-Disk’ label is a fascinating and essential high-water mark for the freedom of expression, the roots of Avant Garde music, and the ongoing exploration of the further adventures in sound that today many music fans take for granted.